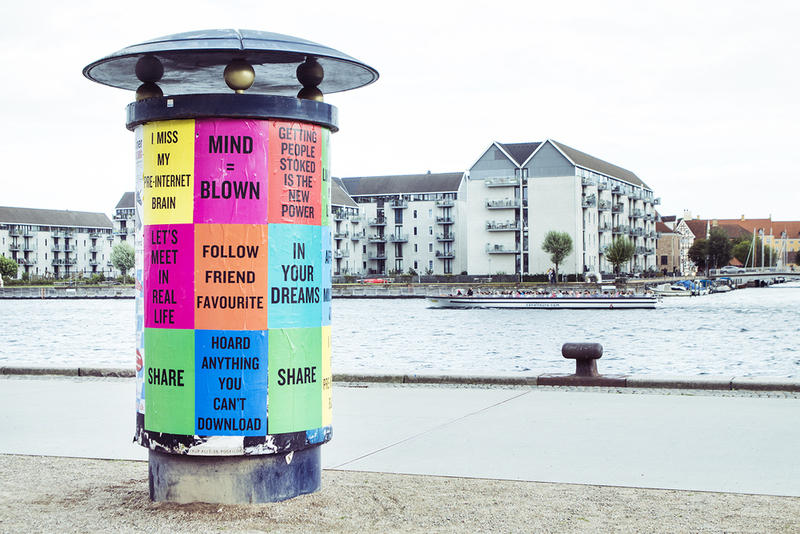 Many Copenhageners might have already seen it, as ‘Slogans for the 21st Century’ is currently on display across the Danish capital. 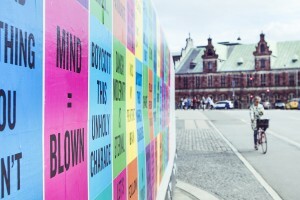 Coupland selected 15 slogans that have been emblazoned on posters, hung from 30 individuals balconies and displayed on limited-edition t-shirts designed by Mads Nørgaard. 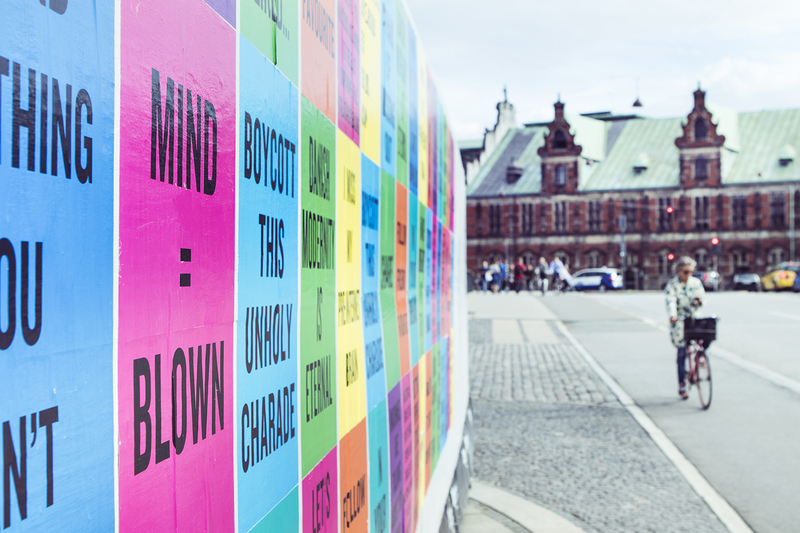 Coupland’s appearance is part of the CHART ART FAIR (August 26-28) at Kunsthal Charlottenborg (details below). 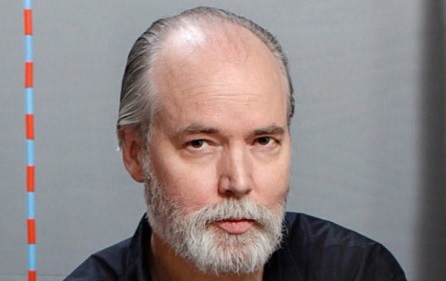 As a keen observer of the post-modernist era and pop culture, Coupland gave the world numerous concepts, such as ‘McJob’ and of course ‘Generation X’, a widely-used label to describe people born in the 1960s and early 1970s – alienated youth who grew up amongst life-changing technological developments. CHART ART FAIR was established in 2013 by Gallery Susanne Ottesen, Galleri Bo Bjerggard, V1 Gallery, Andersen’s Contemporary and David Risley Gallery with a mission to challenge the idea of a traditional art fair, thus developing the role and impact of a Nordic art event on the international art and cultural scene.